Mondo just posted this on his Instagram. New lids? I’m digging them. Sweet Jesus, that is awful!!! What is with the desire to have helmets with a disproportionately big logo? Is this the best the creative minds that work for the team, and I use that term very loosely, can come up? How about something original for once. Love the deconstructed version of our logo, very modern. It looks like the helmet for the thirds we had, but inverted colors. I suspect if they use it it will be with the thirds they carry over to the new jersey supplier. I know I'm in the minority around here but if we're getting new thirds I would love to see them go all yellow similar to the color rush games in the NFL. Heyzooss, a f^^^^^g fashion thread breaks out. It's the dead of winter, this is about as exciting as it gets. I was under the impression that New Era was a division of Reebok/Adidas...and that they were going to be using the exact same templates as last year. That's my understanding. Montreal has changed their unis, and I think I heard a tweak was happening to the Lions, but I think everyone else will be the same as last season. I was under the impression that we had retired the "thirds" from the past few years, but hey, you never know. 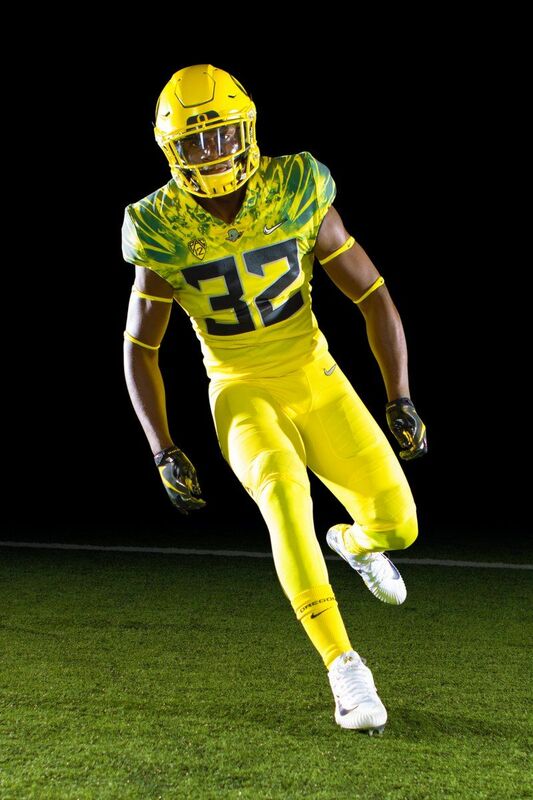 Google the phrase "yellow football uniforms". The first link that comes up is "The 25 ugliest uniforms in college football". haha you are right and I think Ben, CMbuk and I are sitting in a small group of people that actually like them. I’m a fan of the white pants, the green lids the green pants.. it’s about expanding the brand and having options..
Yikes. Combine that with the Boise St. football field. Yes, there should be options BUT those options have to look good. 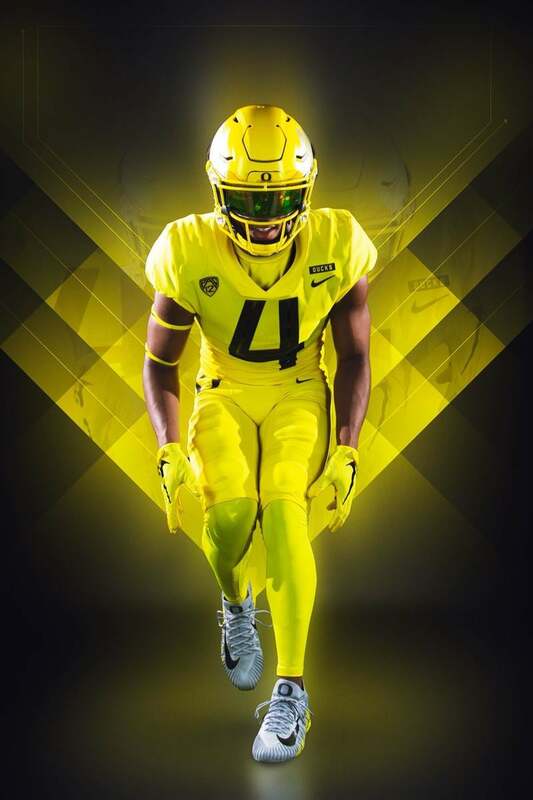 That shade of yellow (the helmet) is horrendous for a helmet or uniform if it’s monochromatic. Orange and black are not an option. I’ve spoken to dwayne about black jerseys before and he said they have toyed with the idea but for whatever reason he wasn’t a fan of the green/black combo.. Wish I could remember more about that email tbh.. but it was a good few ago. Speaking of which... if you happen to be a BC Lion fan (I think there's a couple hanging out here ) BC Lions store has crested jerseys on sale for half price at $94.95 right now. A very good deal. Lions not changing their unis are they? I’m a fan of their current look.. I was almost positive @BCLionsDen mentioned a slight tweak to the jerseys this year, but I haven't seen a confirmation on that, so other than the manufacturer logo, I guess they are staying the same. Add me to the list. I liked the ones they had a few years ago that unfortunately saw them lose a stretch of games in but from a looks perspective wouldn't mind them coming back as a 3rd uni. I like 'em but I can certainly understand that their not everyone's cup of tea. The Ducks usually don't mess around, they know what their doing. Has anyone seen any other pics of that potential new lid? Wonder why mondo took the pic down? Most likely because it wasn't supposed to be up. If there are new lids or uniforms, teams like to announce that stuff. Probably took a fair beating at the hands of King Mandrusiak - he's not the biggest guy, but I've seen him make grown men cry.